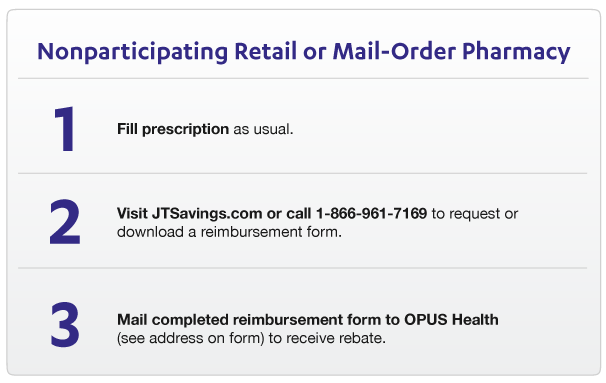 For more information, visit JTSavings.com or call 1-866-961-7169. 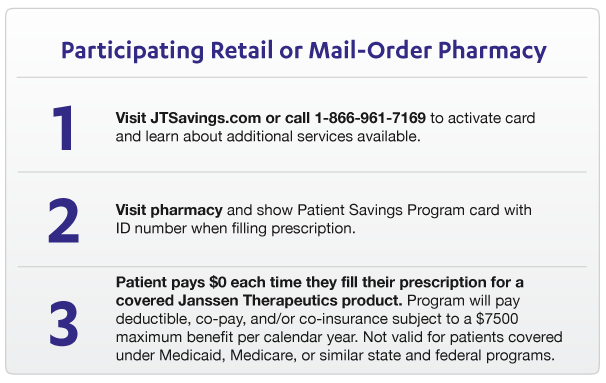 *This is provided for informational purposes only and represents no statement, promise, or guarantee by Janssen Therapeutics, Division of Janssen Products, LP, concerning levels of reimbursement, payment, or charge. Please consult your payer organization with regard to local or actual coverage, reimbursement policies, and determination processes.